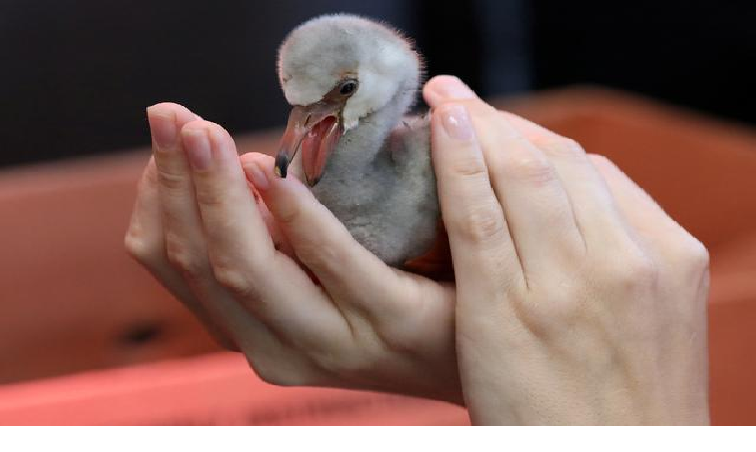 Rescued flamingo chicks to be micro-chipped - SABC News - Breaking news, special reports, world, business, sport coverage of all South African current events. Africa's news leader. The chicks and eggs were abandoned by lesser flamingos that left the Kimberley Wetland which is rapidly drying up. Hundreds of flamingo chicks that were rescued from the Northern Cape’s Kamfers Dam will be micro-chipped in an effort to track and manage their movements. Volunteers rescued the chicklings, which were later flown to bird rehabilitation centres in Gauteng, KwaZulu-Natal and the Western Cape. An ornithologist (bird expert) will be dispatched to the dam to monitor the situation. This entry was posted on 06 Feb 2019,12:11PM at 12:11 PM and is filed under Sci-tech, Homepage Featured Story Slider. You can follow any responses to this entry through the RSS 2.0 feed. Both comments and pings are currently closed.